Medical Physics at the Cross Cancer Institute, University of Alberta is committed to excellence and leadership in the application of physics and engineering principles to cancer care. 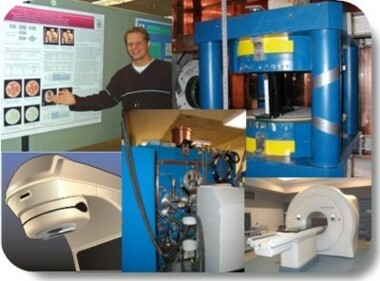 A Medical Physics Graduate Program and two Medical Physics Residency Programs are offered. All three programs have been accredited by the internationally recognized Commission on Accreditation of Medical Physics Educational Programs (CAMPEP). The Medical Physics Graduate Program offers comprehensive training in the application of ionizing radiation for the diagnosis and treatment of cancer. MSc and PhD degrees are offered through the Department of Oncology ( Faculty of Medicine and Dentistry) program. The Cross Cancer Institute (CCI) offers two residency programs to individuals wishing to practice as a certified professional Medical Physicist. These two programs provide specialized training in either: Radiation Oncology Physics or Diagnostic Imaging Physics. The University of Alberta (U of A) Department of Oncology is centered at the CCI, the major cancer treatment center for Northern Alberta. The CCI is committed to excellence in cancer treatment, research and education, and is operated by the Alberta Health Services. Medical Physics is both a Division of the Department of Oncology and a Department of the Cross Cancer Institute. Thus, Medical Physics has academic/teaching, research and clinical responsibilities. Medical Physics also provides teaching and training for the U of A’s Faculty of Medicine and Dentistry Radiation Oncology Residency Program and Nuclear Medicine Residency Program. Medical Physics research interests include image guided adaptive radiotherapy, intensity modulated radiotherapy, positron emission tomography, digital portal imaging, inverse treatment planning and magnetic resonance spectroscopy. Clinical services and facilities are provided by the Medical Physics Dept. of the Cross Cancer Institute, Alberta Health Services, the University of Alberta and University of Alberta Hospital.